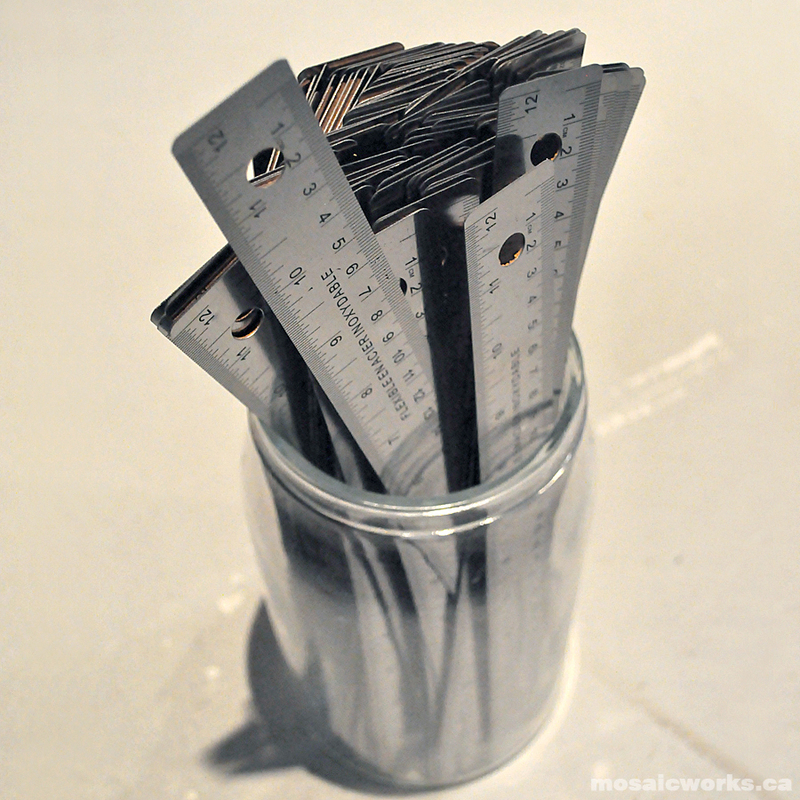 mosaicworks.ca: What to do with 78 rulers? What to do with 78 rulers? 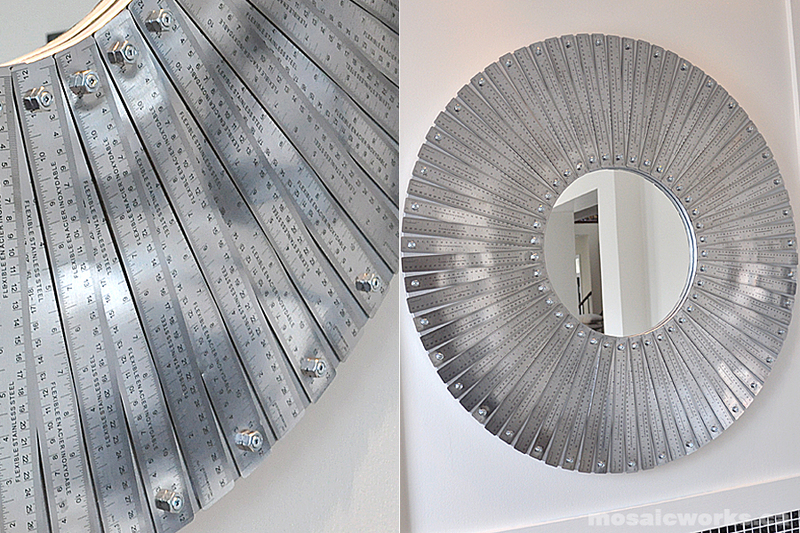 The Ruler Mirror is 40" in diameter, weighs 30lbs and is made with 78 stainless steel rulers, 78 nuts and 78 screws. As with ever new mirror it has given our living room a whole new look. Ryan said nothing. He smiled and fell to the floor. All the superlatives have been taken but I can add it has an awe effect seeing it in person. I like the name and look forward to your next inspiration. Love this project... and WOW, what a beautiful living room! 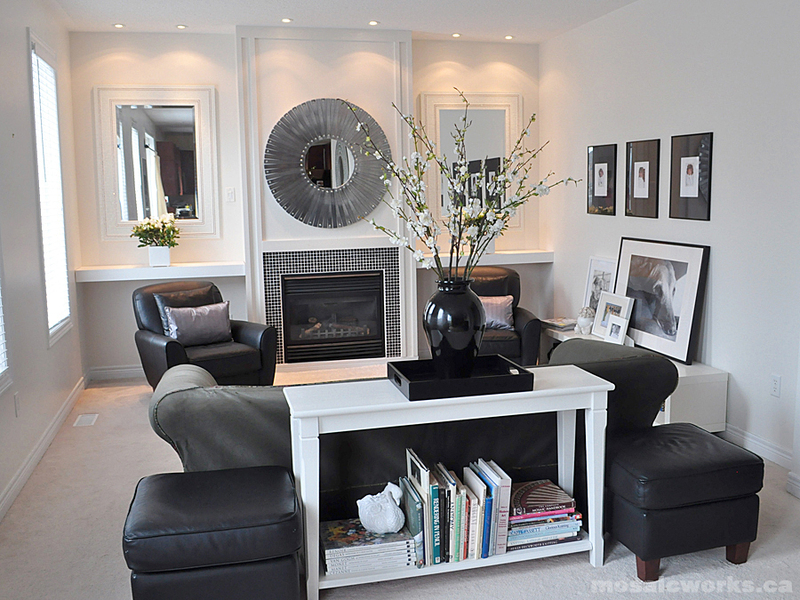 I especially enjoy the flowering branches, they really make the room feel friendly. This one is certainly a favorite of mine. Do you have instructions/suggestions on how to make a similar mirror somewhere on your site and I missed it? What are the rulers attached to? I don't have instructions (hmm, maybe something to consider?) but I'm full of suggestions (lol). The base of all my mirrors is 3/4" ply (wood types vary). And before I start any project I begin with a sample board. Actually I've been meaning to do a post about my sample boards for some time now...perhaps I'll get on that one sooner then later!?! Where did you manage to find all those rulers?! How did you punch the holes in the ruler? They came with holes in them. Thanks Georgie Gilmore (love your name, BTW)! It works great with wooden rulers. gorgeous. did you start with a round mirror and bolt through it (is that even possible?) or did you actually make the mirror itself and then add the rulers? i'm in awe. and super curious. I start with a wood frame. The mirror is placed in when the frame is complete. ah, i get it. makes way more sense that way...i just kept wondering how you bolted through the glass without it cracking. 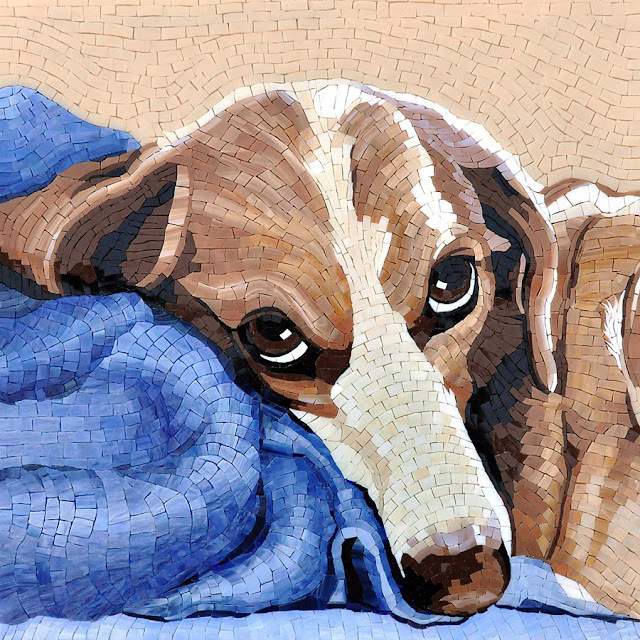 i love this, and i would love to feature it on my blog! please let me know if this would be ok with you. VERY CREATIVE! As a local photographer I enjoy seeing different ways artists take everyday object and making something beautiful.